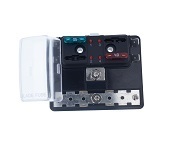 4 position Fuse Block for regular automotive blade-type fuses with 4 position Grounding Block. 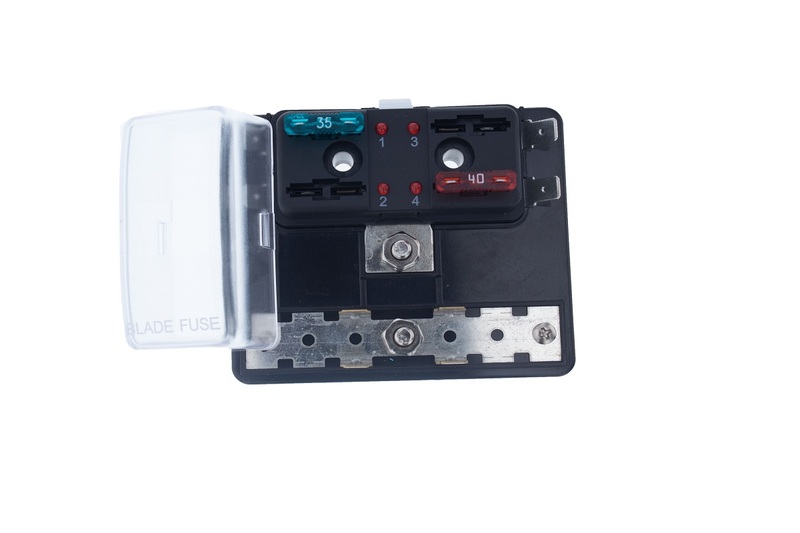 With LED Indicators for easy open fuse indication. * Use with APR / ANR fuses.